If you’ve ever fancied mingling with the rich and famous, an excursion to Monaco provides a surprisingly affordable way in which to experience life in the ultimate place to be seen. 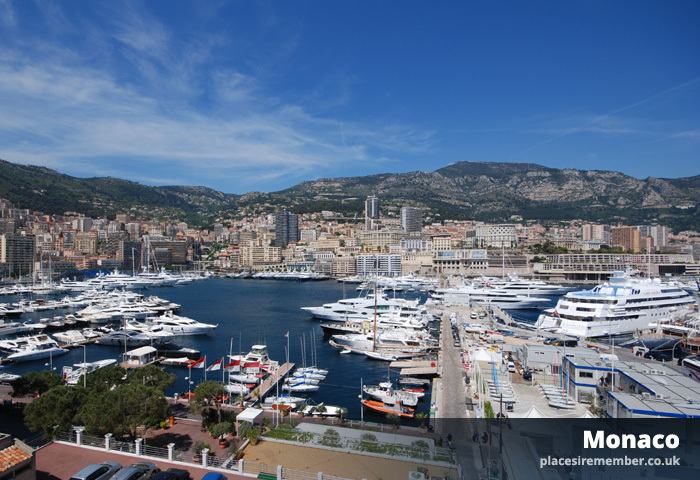 Known for its casino, yachts and the most glamorous of all Grands Prix, it would be understandable to perceive Monaco as a destination beyond the reach of most people. But while that is certainly an accurate assessment if holding onto any ambitions of booking high-season accommodation and staying in the Principality, it’s most definitely not the case for a more modest day trip. For a start, the cost of a one hour bus journey from Nice is only one euro each way – which, to put into context, is a twentieth of the cost that I have paid to cover a similar distance on a continental rail journey. Once in Monaco, you don’t have to own a yacht to get onto the water, and a similar outlay to that of your bus fare will pay for a boat ride across the harbour. From then on, it’s mostly no different to being in many other continental cities. Walking is obviously not going to make a dent in your wallet, with a gentle stroll around the famous Grand Prix circuit possible to achieve in under a couple of hours, while Monaco’s many public gardens – all impeccably kept – are also worth stopping by. Of course, some small luxuries are too tempting: enjoying a drink whilst sat outside the famous Cafe de Paris in Casino Square for example, which is likely to be the most expensive beer or glass of Coca Cola that you’ll ever purchase. It’s a relatively small price to pay for a brief taste of life in the home of some of the world’s most famous celebrities, both past and present, and should you resist the lure of designer boutiques or a gamble in the casino, there’s every chance of returning back with a wallet that’s as intact than at the conclusion of any other day excursion in the area. Bus 100 runs from Nice to Monaco in approx 35 minutes, and continues along the coast to Menton. A single journey costs €1,50. A single journey across Monaco harbour aboard the bateau bus costs €2.